Item # 313218 Stash Points: 2,995 (?) This is the number of points you get in The Zumiez Stash for purchasing this item. Stash points are redeemable for exclusive rewards only available to Zumiez Stash members. To redeem your points check out the rewards catalog on thestash.zumiez.com. Grab a chic new, beach ready look this summer in the Black, White and Yellow Bandeau Bikini Top from Malibu. This bandeau style bikini top features adjustable shoulder straps and an adjustable lace-up tie closure at the back. 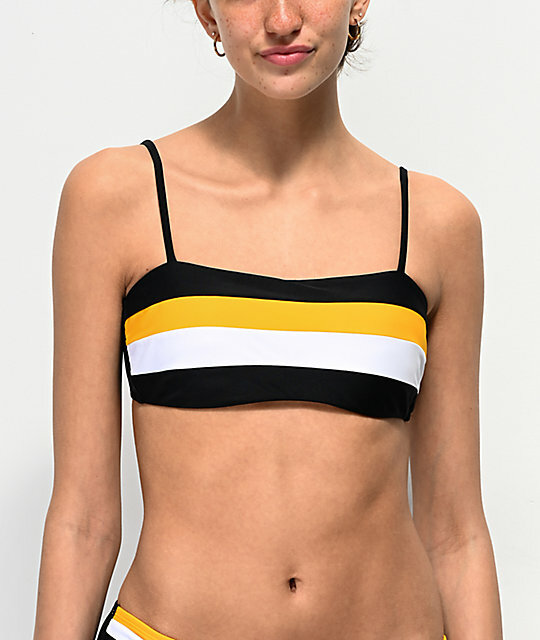 The top features a black construction with yellow and white colorblocked paneling across the chest, creating a simple look that will turn heads. 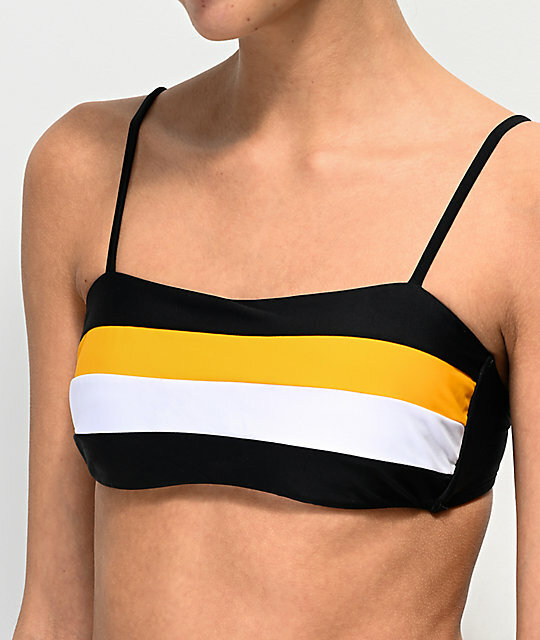 Black, White & Yellow Bandeau Bikini Top from Malibu. Black, yellow & white colorblocked construction. Lace-up, tie closure at the back. Lined cups with removable pads. Bandeau neckline with tie back closure.